Simply dressed in thermal sweats or sometimes a plain t-shirt on warmer days, you’d be forgiven if you overlooked this casually dressed gentleman named Seiichi Hoshiko (星子誠一). 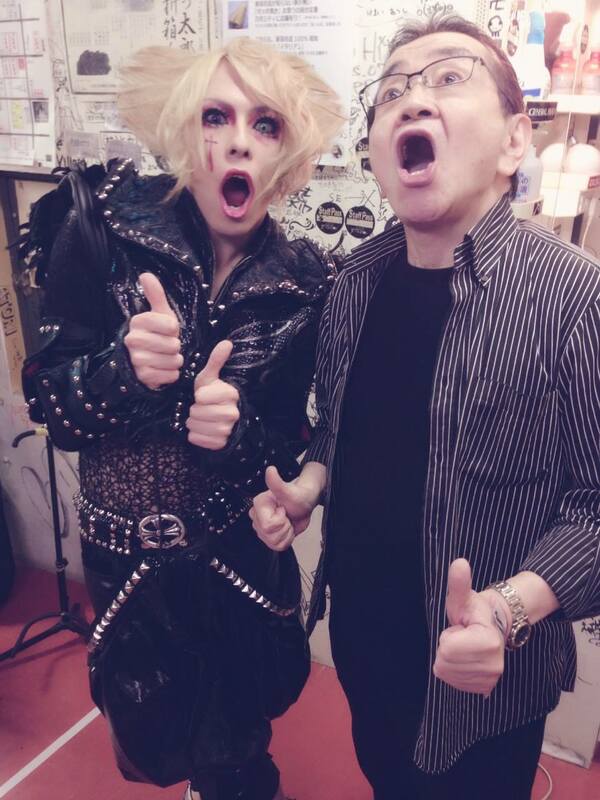 Throwing his classic two thumbs up pose, he is actually one of the visual kei’s world most loved father figures, and it doesn’t require any convincing at all when you see the huge gallery of photos of him getting held like old friends do but also physically swamped by the younger visual kei artists. 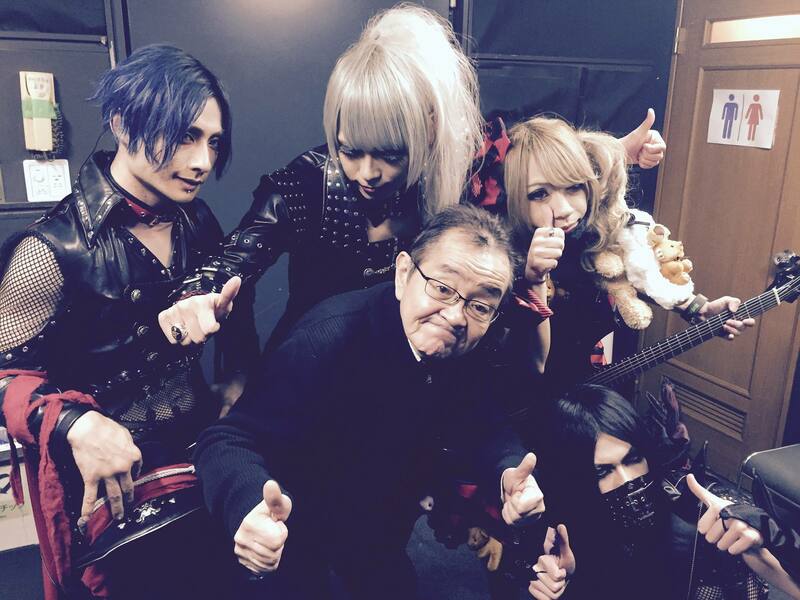 What does it take to get photographed with every Jrock and visual kei band under the sun? 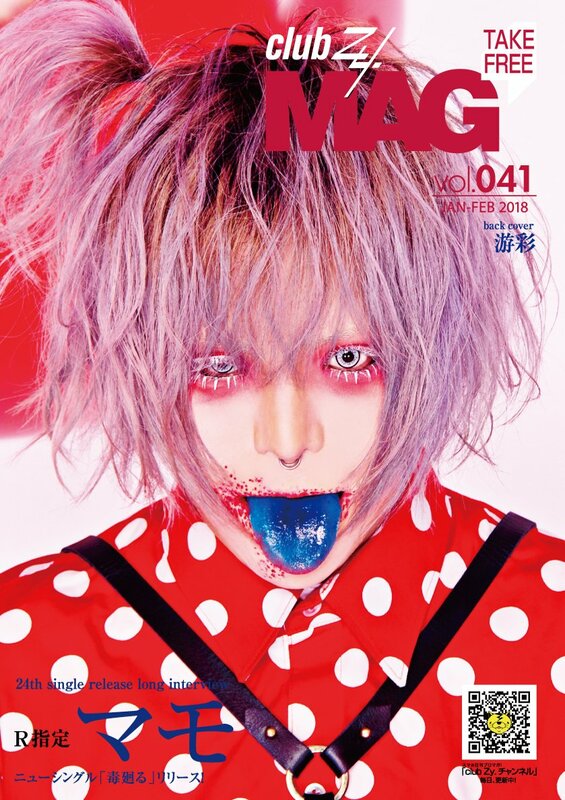 Well, Mr Hoshiko achieved this by founding some of the world’s top visual kei magazines including “SHOXX”, “club Zy.“, “club Zy. MAG“, “club Zy. Gab”. 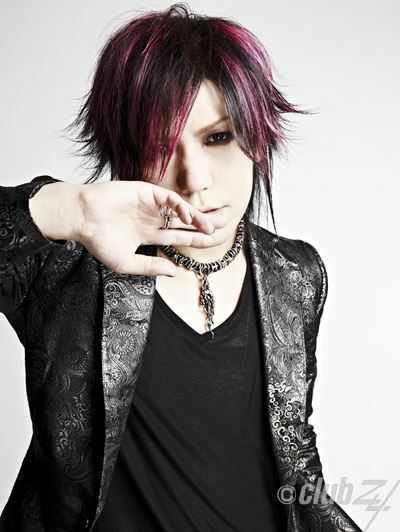 He is also the man you should thank for “stylish wave”, an event where a bunch of visual kei artists gathers to perform. The best part is that he now has an English Twitter account for us to follow! 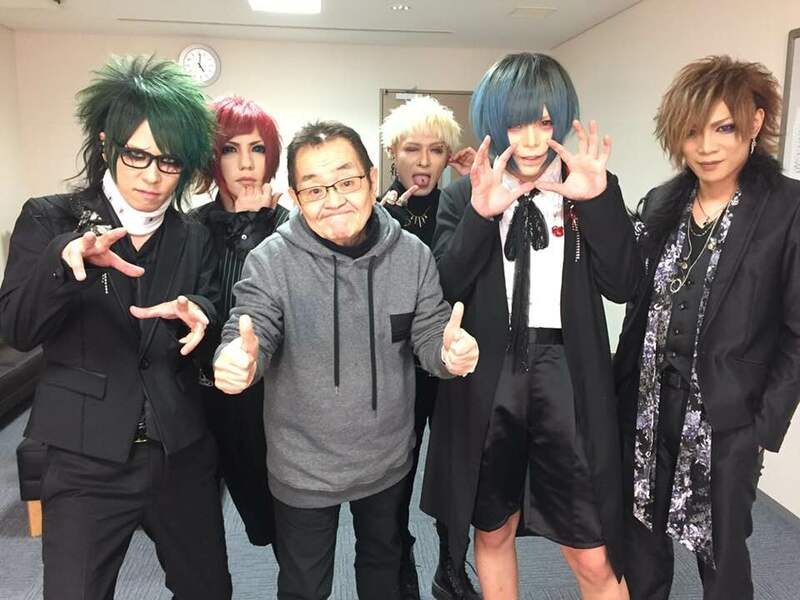 From age-old photos of him next to hide (X Japan), having his shoulders wrapped by Inoran and being jostled into a tight group by MORRIGAN, we’ve collected some of the most impressive and iconic photos for you to enjoy of our very own Visual Kei Oyaji. 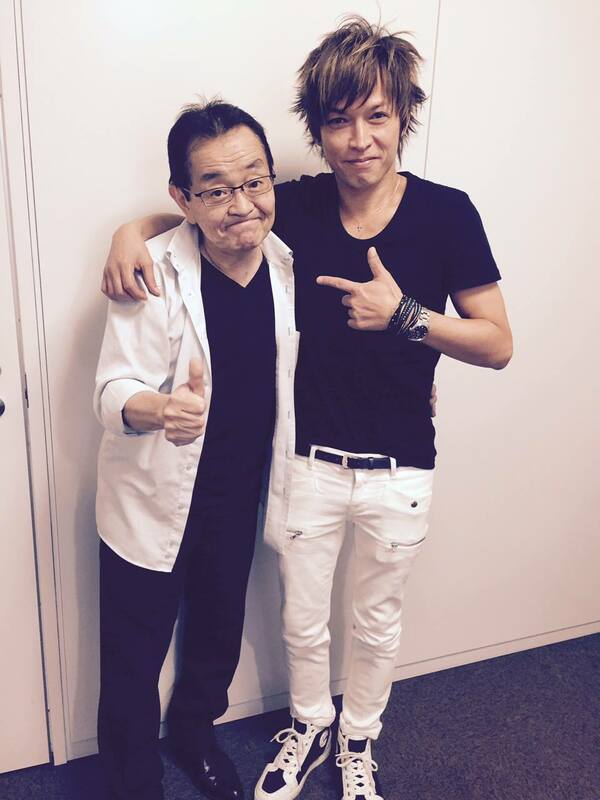 JROCK NEWS was also lucky to conduct an interview with this legend recently, definitely check it out! 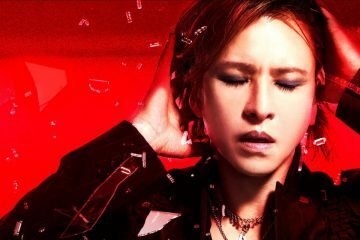 In the interview, Hoshiko-san talks about how the influence of X Japan helped him overcome his mid-life crisis to start SHOXX and as well as how the term “Visual kei” was coined. 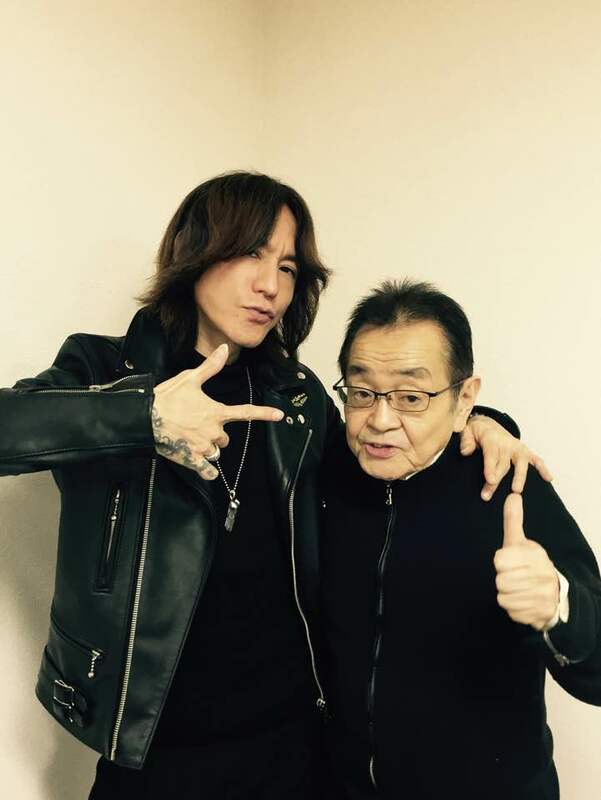 “Hoshiko, you’re shy every time we meet” – Sugizo. Hakuei (Penicillin) stands behind uncle with two beautiful girls. 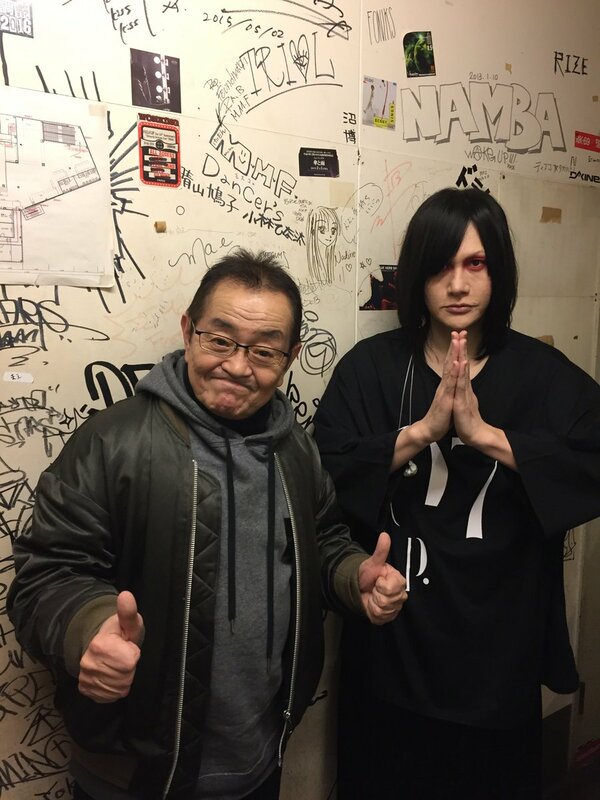 He meets with Ryutaro (Plastic Tree) backstage at Ebisu Liquid Room. Throw your thumbs up for MORRIGAN. 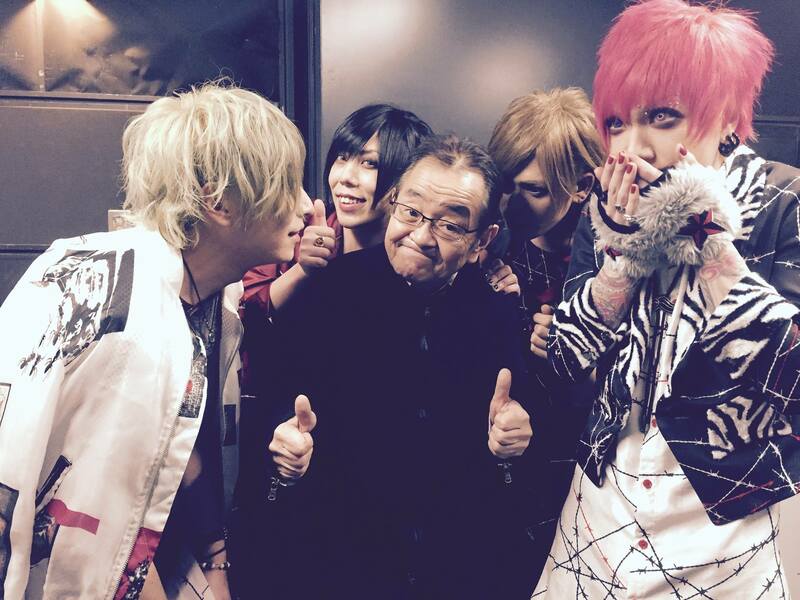 NEVERLAND aren’t afraid to get uncomfortably close to uncle. 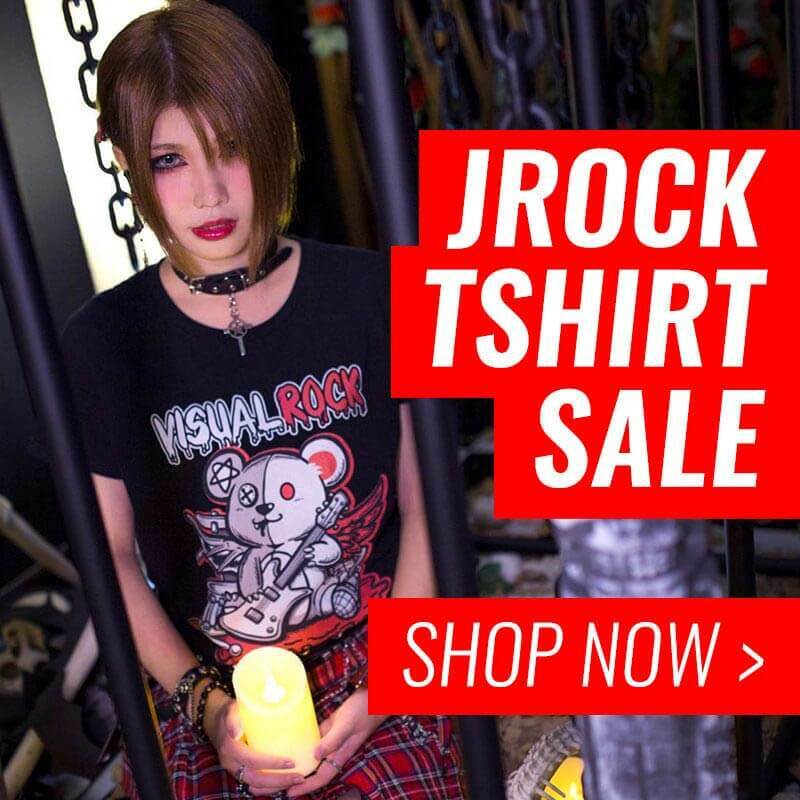 You can see the guys at Sick2 love Hoshiko. 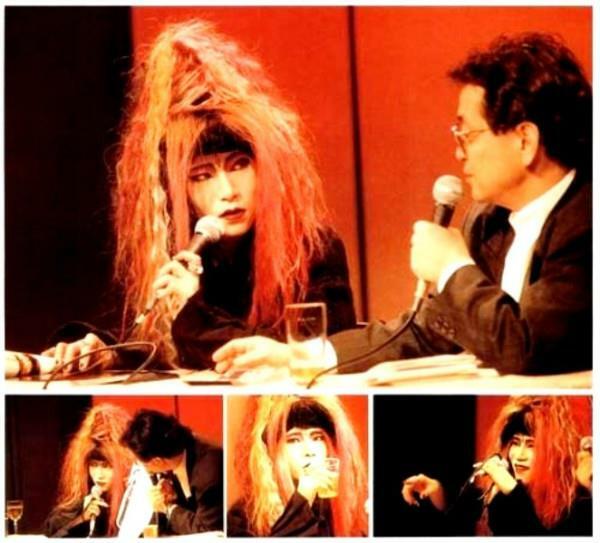 He interviewed hide (X Japan) in the past. Aki (Arequlin) pulls a face. 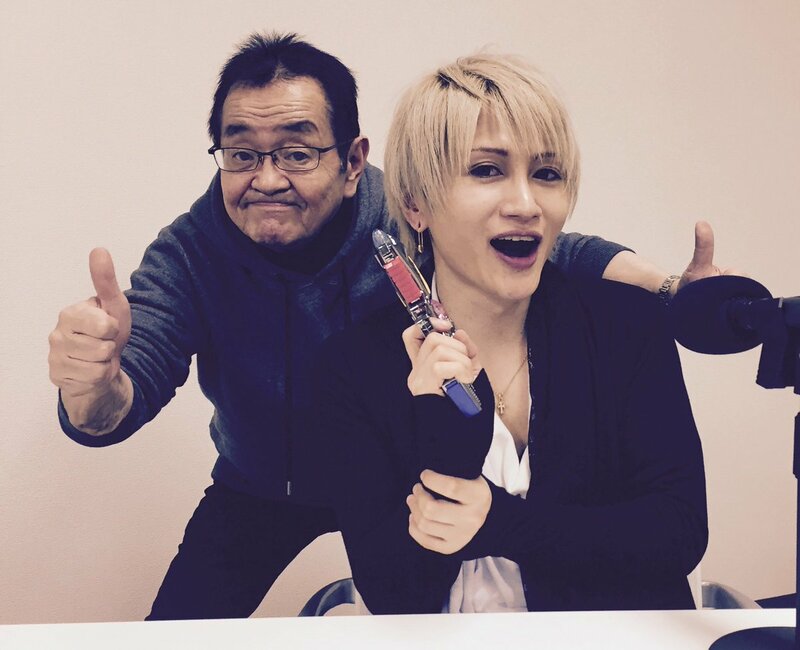 R-shitei throwing out some creepy hand poses. First photo we’ve found of him looking uncomfortable. 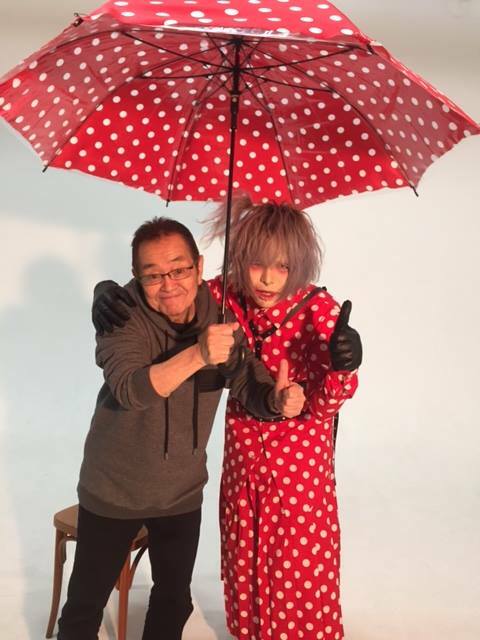 Ryoga (ex-BORN) and Tsuzuku (ex-MEJIBRAY). 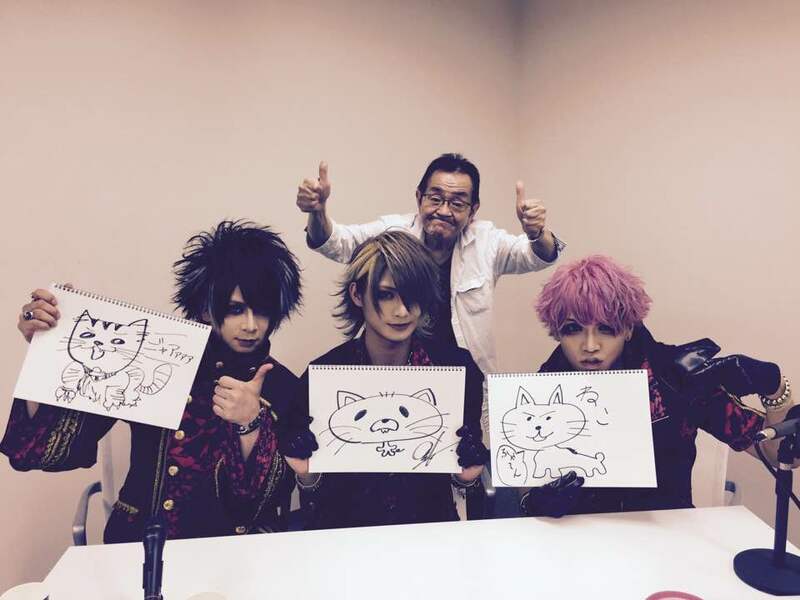 Purple Stone drew some cat pictures. 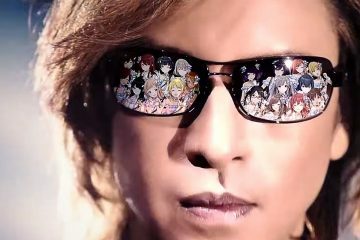 Versailles get super close. 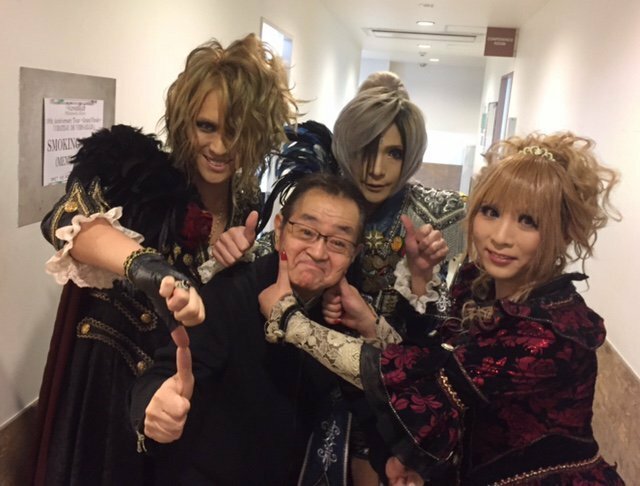 Hizaki and KAMIJO are smiling so much! 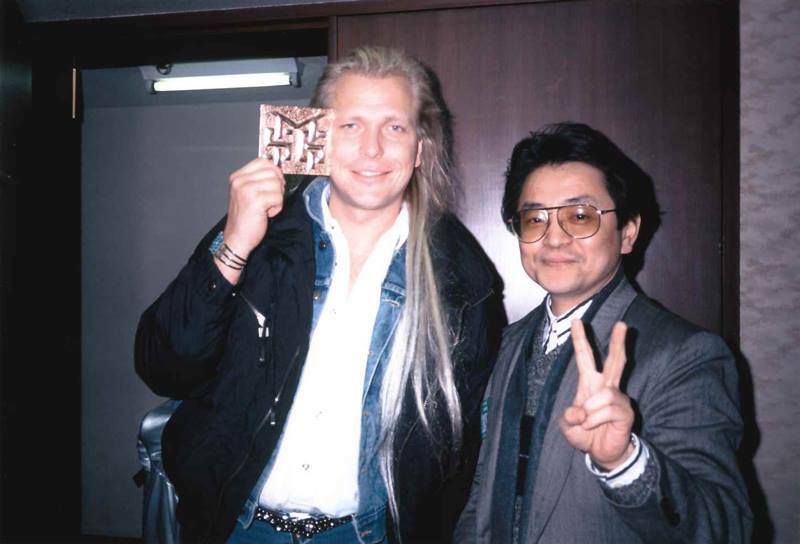 Bonus: He met Michael Schenker (UFO)! 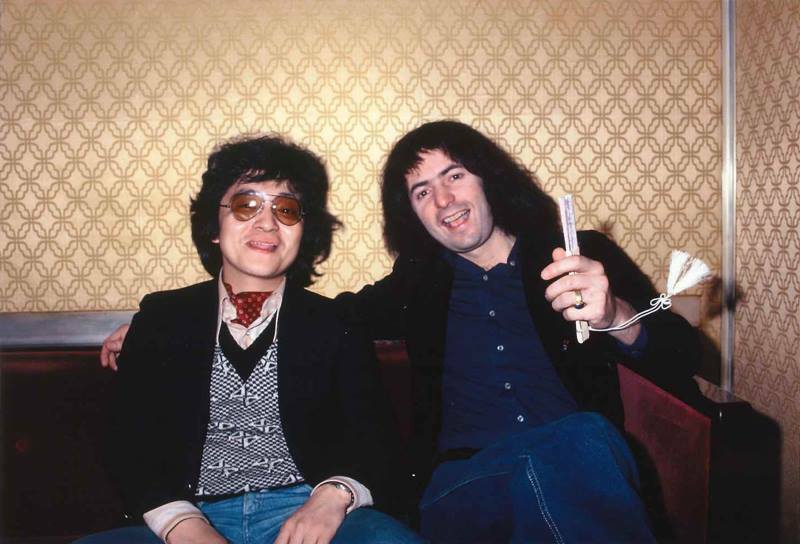 Super bonus: He also met Ritchie Blackmore (Rainbow and Deep Purple). 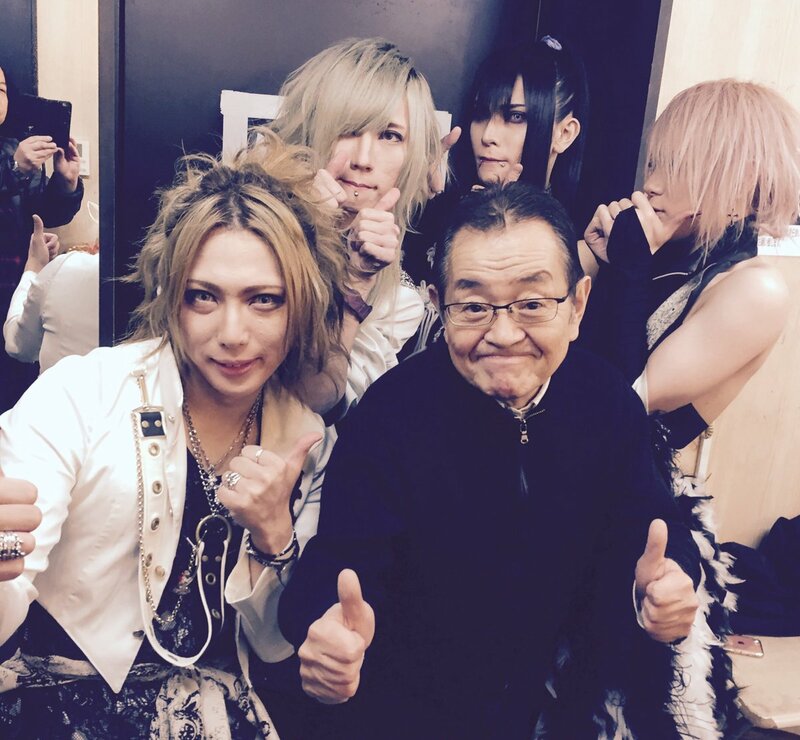 Let’s take a moment to thank everyone’s uncle for supporting the visual kei community. 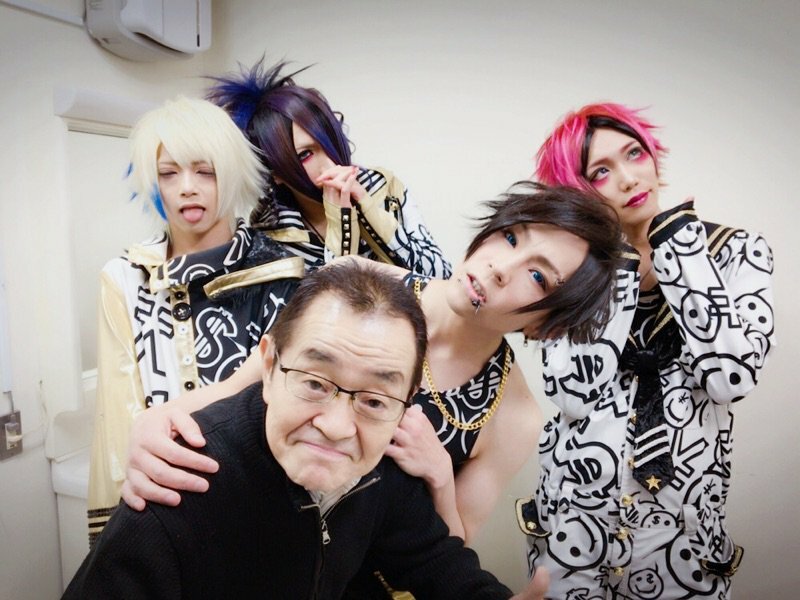 Are you surprised about learning about this Visual Kei Oyaji, or have you known about him before? Let us know in the comments below.